Though it feels good to have a cold climate the side effects of it still remain unpleasant. I mean the cold, cough and fever that it gives us is killing. Dissolve the sambhar powder, asafoetida, turmeric powder, tamarind paste and salt in water. Peel off the skin of the ginger and crush it using a stone. Put the crushed ginger into the rasam. Take a tsp of oil in a pan and temper with mustard seeds. Now drop in the chopped chillies and curry leaves and fry for just a min. Now add this to the rasam and bring it to a boil. 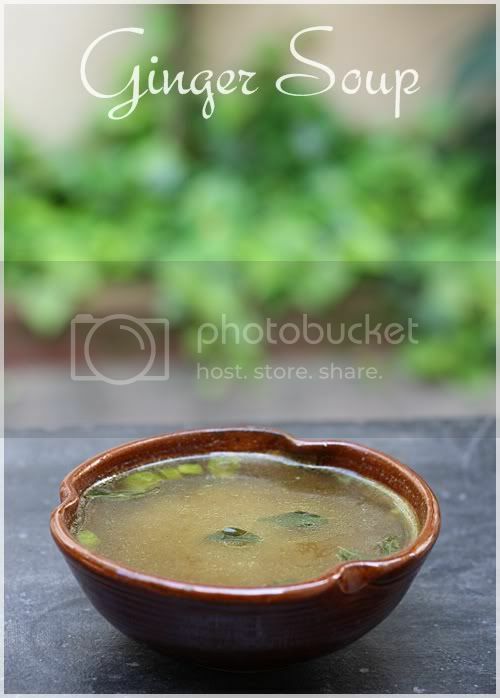 Serve piping hot as soup or mix this with rice and have it as rasam. You can add some cooked dhall to this rasam too. Your photography is always wonderful... Have u taken any formal training in it?? What an amazingly comforting photograph. Just what I require in this cool evening. ummm.. comfort drink any time of the day in winter!! 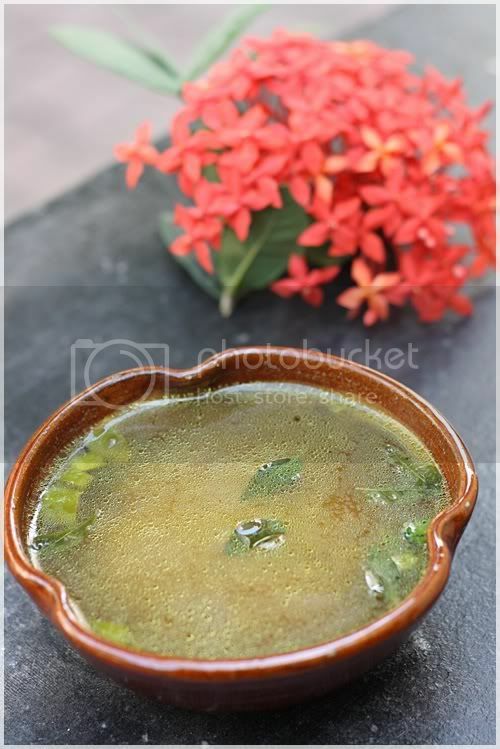 Super flavourful rasam,yummy and definitely comforting. 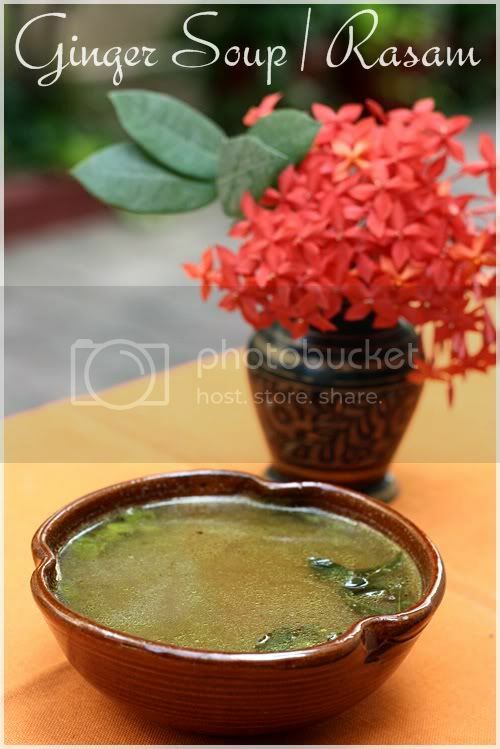 perfect for this climate....never tried with ginger....healthy soup!! Seriously cant take my eyes from ur irresistible click,super tempting recipe. 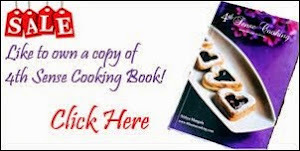 I come to the blog - both for the recipe and the pictures. Very comforting Rasam/soup and too with my fav flavor ginger.. 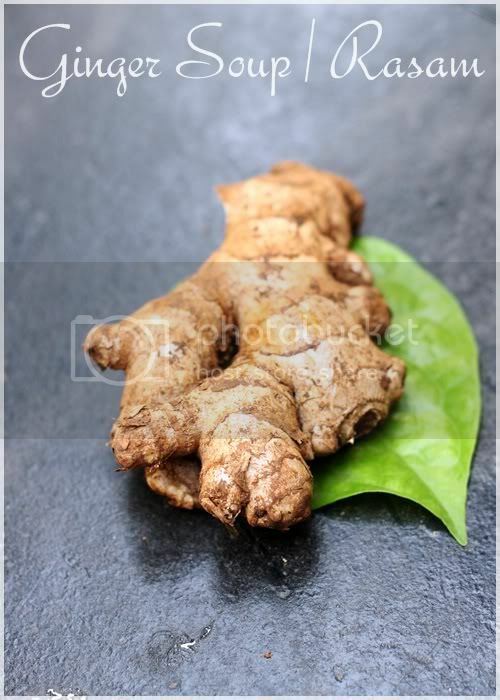 I can have that whole bowl...Love ginger a lot and love the clicks Nithi. 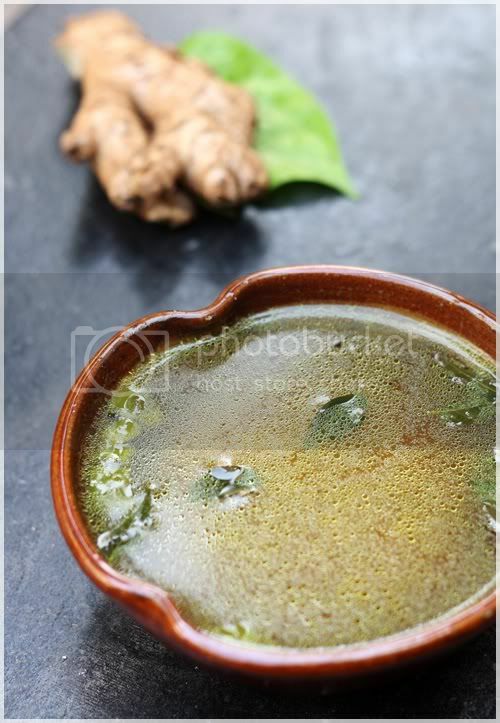 Comforting rasam.. Love the picture with the ginger and vethalai .. Tried this rasam couple of times and loved it everytime. Good during cold. Thanks.